With all the exciting books and media being released, it’s easy to want to expand your collection. But if you’re lucky enough to find the money, how do you find the space? We currently have all our CDs in BrowserPaks, as well as the video games. This collection is approximately 2,000 items. Previously, we had the CDs in their original jewel cases and the video games in paper envelopes in a drawer with the covers in their original DVD cases. We separated them to prevent theft. We are extremely crunched for space in our library. The music was not circulating well because it was hard to read the label on the spine of such a small case. Also, our video game collection grew so large that we were using way too much shelf space. After the switch to BrowserPaks, we were able to replace the cabinets we were using with two more stacks for books and much more room for regular DVDs. We had a custom case built for the music, and we were able to utilize a space previously deemed unusable. Patrons love it; many complimented us on the improvements. Circulation has definitely increased, since patrons can easily browse the covers as opposed to the spine. I would say any chance you have to put your materials face out, take it. Also, the BrowserPaks last longer than most plastic cases, so you can save a lot of money in the end. We use BrowserPaks for our nonfiction, entertainment, holiday and parenting DVDs. They total 17,500 items. We were using the cases the DVDs came in. Our main reason for switching was to save space. We found that we were having to discard DVDs that we really wanted to keep. When you use the BrowserPaks, you can fit in four times the number of DVDs — normally 24 versus 6. The patrons really like them because they are so much easier to carry home. There is also less breakage. Removing the discs from the hubs is often very difficult, and this system eliminates that problem too. Also, the discs are more snug in the slipcases and are not flopping around loose in that big case. We have roughly 11,000 media items and display about 10,000 in BrowserPaks. We were using standard clamshell cases in most instances and lockable clamshell cases for high-theft-risk items. As is the case with most libraries, lack of collection space was becoming a problem for us. 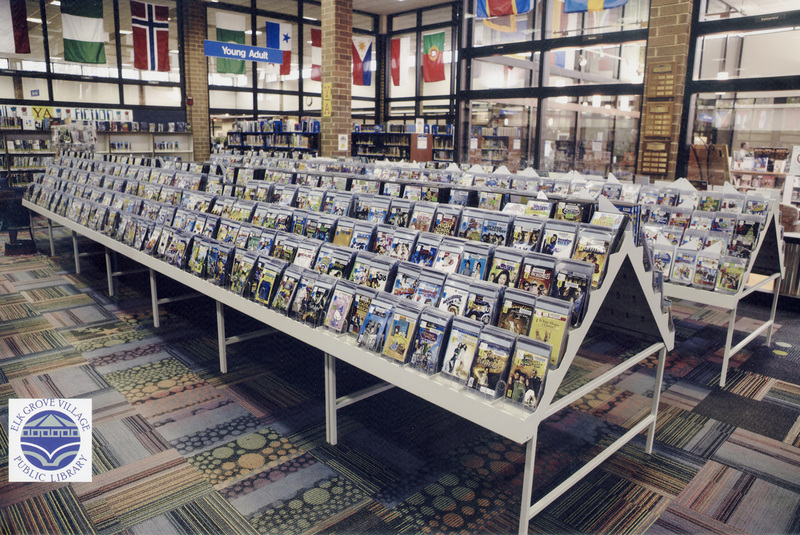 Our media collection used to take up an entire 36-foot length of a wall. The way we configured the bins with BrowserPaks, they currently occupy about 3/4 of the same footprint; however, if arranged differently, they could potentially only use about 2/3 of the space. We also found that more than two discs can be housed in one Pak. Three (and occasionally four) discs are easily stored within one Pak. This is very convenient for storage of multi-disc boxed sets. 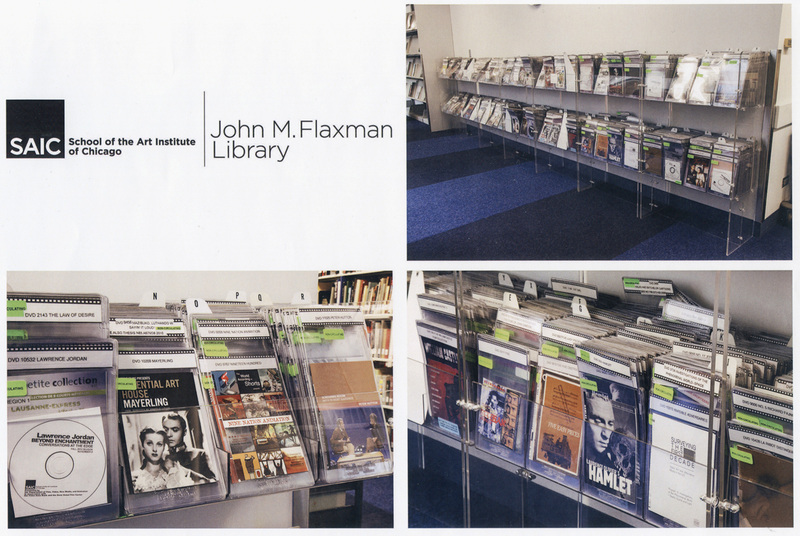 We are using the freed-up space to allow for future growth within our media collection. 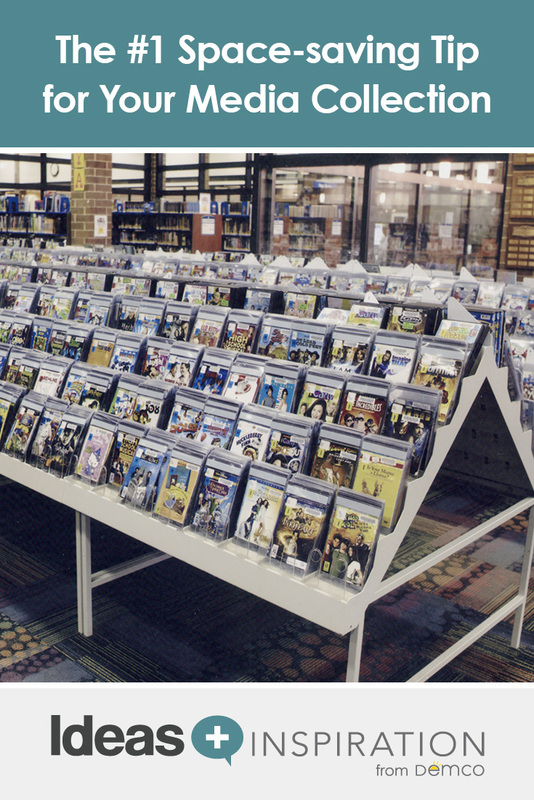 Many patrons find convenience in the ability to browse while seeing cover art (DVDs were previously shelved with the spine label facing out). The ability to check out numerous titles at once, without the bulkiness of the clamshell cases, has also been appreciated. 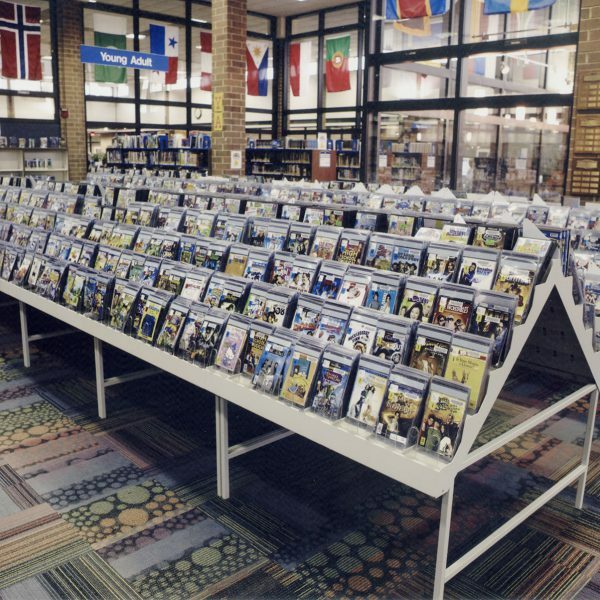 We currently have 8,914 DVDs that are all displayed in the BrowserPaks. We began our DVD collection with BrowserPak displays, because we were running out of shelf space to store the black plastic DVD cases. The increase in space was significant, but specific measurements are difficult because it has been on ongoing process. There is still a fairly large portion of our DVD collection that is stored in the older black plastic DVD cases. We are continually replacing them with the BrowserPaks as time and money allow. But now there is plenty of space available for the foreseeable future. We use the BrowserPaks for our music CDs. The collection has right around 4,800 items. We were using traditional music jewel CD hard cases. 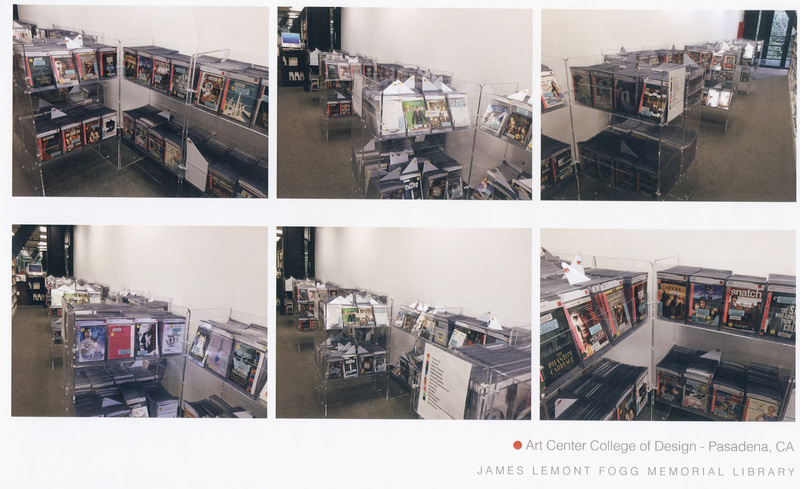 [Using BrowserPaks], we were able to go from five large wooden display units (3 1/4′ x 2′) down to two units, with room to grow the collection. 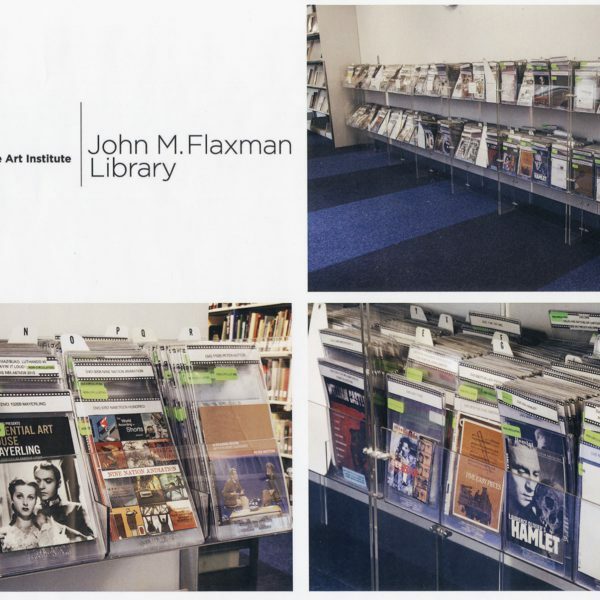 They actually make flipping through the music CD collection easier for some patrons. The space savings is outstanding. We now have more programming space, which is awesome. 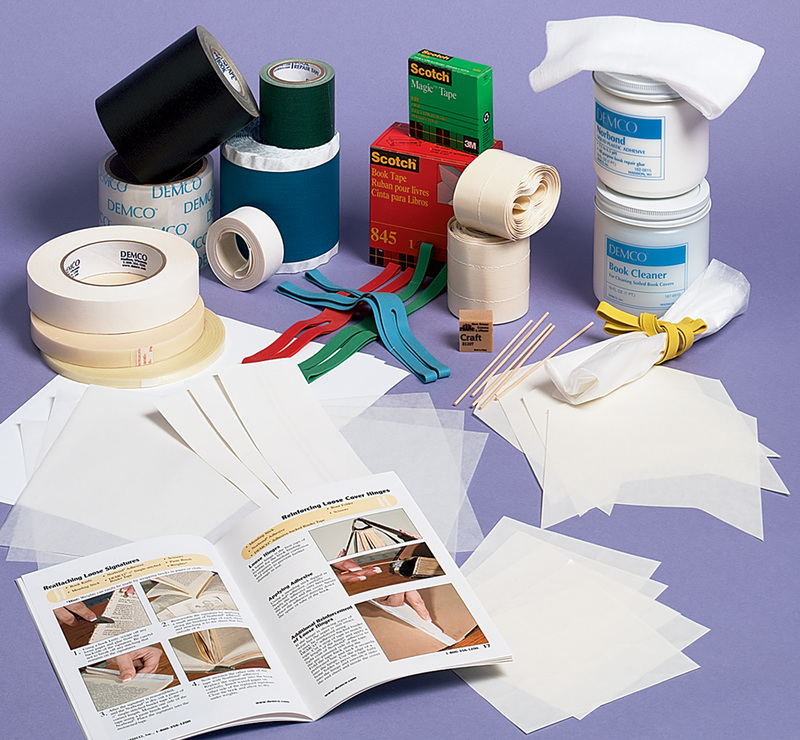 From book repair supplies to space-saving solutions for your collections, you’ll find everything you need for your library in one place.